This early work by Alfred W. Marshall is both expensive and hard to find in its first edition. 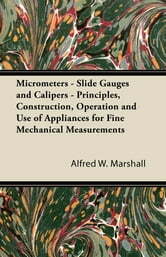 It contains a wealth of information on the design and construction of engineering measuring tools and includes chapters on slide gauges, the micrometer, vernier scales, all accompanied with detailed technical drawings. 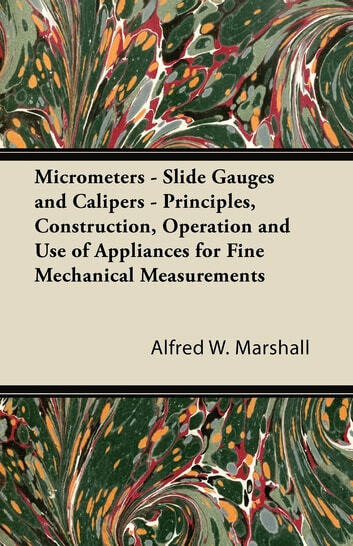 This is a fascinating read for anyone interested in the intricacies of engineering measurement and its historical methods of production. Many of the earliest books, particularly those dating back to the 1900s and before, are now extremely scarce. We are republishing these classic works in affordable, high quality, modern editions, using the original text and artwork.